Most people think of estate planning in very simple terms, and don’t realize that without a proper estate plan their surviving family or business associates can face significant economic and personal consequences upon their death. 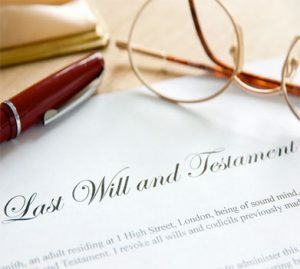 At Kiessling & Lesperance, we are committed to making certain that your will, trust or estate plan is properly structured and managed to not only effectuate your wishes, but is written clearly in the best interests of your surviving family members and/or business associates. Beyond your estate, our attorneys are skilled in drafting living wills and powers of attorney for medical incapacity and chronic disease management, as well as establishing guardianship for minor or disabled children and family members, when the need arises. We also handle cases involving: pour over wills; successor agents; ward and successor guardians; will/trust trustees and beneficiary issues. We have a proven track record in setting up and administering wills, trusts and estates for our clients. Please contact our offices by calling (920) 648-8385 or make an inquiry via our contact page. We look forward to hearing from you!